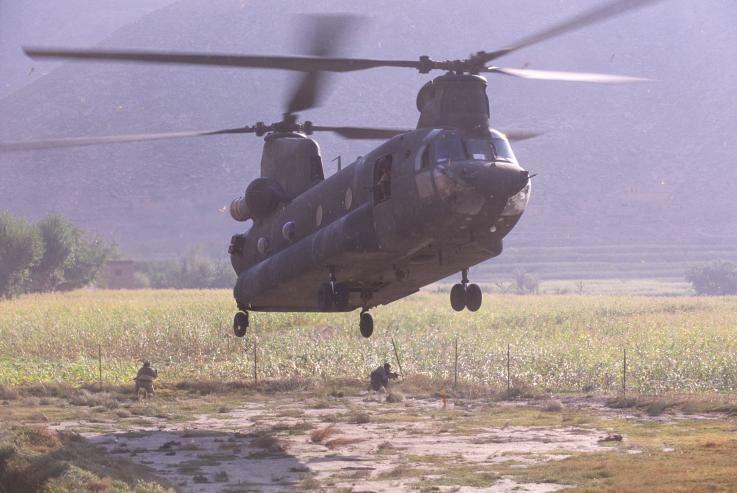 At 2:38 a.m. on August 6, 2011, a U.S. Army Chinook helicopter, call sign Extortion 17, entered the western opening of Afghanistan’s restive Tangi Valley, flying alone. “One minute—one minute,” transmitted Bryan Nichols, the pilot in command of the helicopter. Flying 250 feet above the valley floor at just under 70 miles per hour, Dave Carter, the pilot to the right of Nichols, guided the helicopter toward a carefully chosen landing zone just over a mile away. In the rear of the aircraft, the Chinook’s passengers stood and prepared to storm out into the moonless night once the wheels touched the ground. Extortion 17, however, would never reach that landing zone. Hours earlier, pilots Carter and Nichols and crewmembers Specialist Spencer Duncan, Sergeant Pat Hamburger, and Sergeant Alex Bennett, along with pilots and crew of a sister Chinook, Extortion 16, inserted a strike force in the central Tangi Valley. Composed primarily of members of the 75th Ranger Regiment, which falls under the authority of the secretive Joint Special Operations Command, or JSOC, the team sought to capture or kill a powerful insurgent leader, Qari Tahir, known to coalition forces by his designation “Lefty Grove.” Some of the most highly trained and skilled warfighters in history, the Rangers moved overland to a location where intelligence indicated Lefty Grove and his small cadre of fighters would be holding a meeting. When they arrived at the compound, however, the strike force couldn’t locate Tahir, and some of his fighters dispersed. 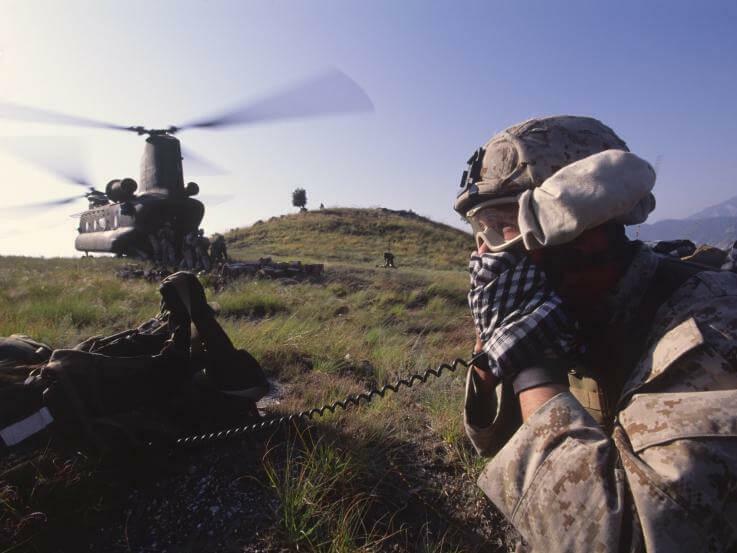 JSOC and aviation commanders, prepared for virtually any outcome, quickly formulated a plan: they would send a team on one helicopter to bolster the Ranger-led force. Members of Navy SEAL Team Six formed the core of the IRF, with other American special operations personnel and highly-vetted Afghans playing integral roles. They loaded onto Extortion 17, and then Carter and Nichols lifted the Chinook into the night sky. Just after entering the Tangi, as Extortion 17 continued to descend and decelerate toward its landing zone, the helicopter passed through the narrowest portion of the valley. What the men on the Chinook didn’t know was that cloaked by darkness, two fighters had emerged from the small village of Hasan Khel, on the south side of the valley. Each shouldered a rocket-propelled grenade launcher, aimed at the dim silhouette of the approaching helicopter then fired. A volley of three rockets total sped toward the general direction of the approaching Chinook, all launched within a few seconds of each other. The first of the unguided projectiles missed, as the vast majority of rocket-propelled grenades shot at helicopters did over the course of the war in Afghanistan. By the time the third sped away from its launcher, however, no target remained. The second RPG round had connected with one of Extortion 17’s aft rotor blades, severing more than 10 feet of it when it exploded. Everyone on board died within a fraction of a second—30 Americans, eight Afghans, and one American military working dog. Extortion 17 then plummeted to the ground and erupted in a massive fireball. It marked the greatest single incident loss of American life in the war in Afghanistan, the deadliest moment in the history of SEAL Team Six and the entirety of the Navy SEALs, and the deadliest single incident in the history of U.S. Special Operations Command. Due to the sheer magnitude of loss of life, combined with recent news of SEAL Team Six’s successful raid on Osama bin Laden’s compound, global media outlets lionized the tragedy. They then repeated and emphasized a few related questions: How could this happen? What went so terribly wrong? Misinformation regarding the skills of the pilots and crew, and nonsensical conspiracy theories—often politically motivated—followed, much of which unfortunately continues to this day. This misinformation persists in part because those unfamiliar with the battlefield aren’t taking into account a fundamental part of war: chance. Extortion 17’s pilots and crew ranked among the very best military helicopter pilots in the world (Carter had amassed more than 4,000 hours of cockpit time), and the helicopter, a CH-47D, the fastest and one of the most powerful and nimble in the U.S. military, had been maintained to the highest standards. The pilots, crew and Chinook helicopters of “Extortion Company,” the conventional Army aviation unit to which Extortion 17 belonged, had supported over 90 percent of raids conducted by Rangers and SEALs of JSOC in that region; the flight in question was nothing out of the ordinary. JSOC ground forces and those who flew them knew and trusted each other. The route had been carefully planned, and gunships maintained continuous watch over the intended landing zone during Extortion 17’s approach. Intelligence, surveillance and reconnaissance aircraft that supported the raid, including a Predator drone, and a variety of highly specialized spy planes, had kept a continuous watch over the region during the operation. Nobody involved had overlooked even the most minute detail. In the immediate wake of the tragedy, the military initiated two investigations. The Joint Combat Assessment Team report identified, through detailed metallurgical analysis, the type of projectile that blew Extortion 17 out of the sky: an antipersonnel unguided ballistic rocket-propelled grenade. 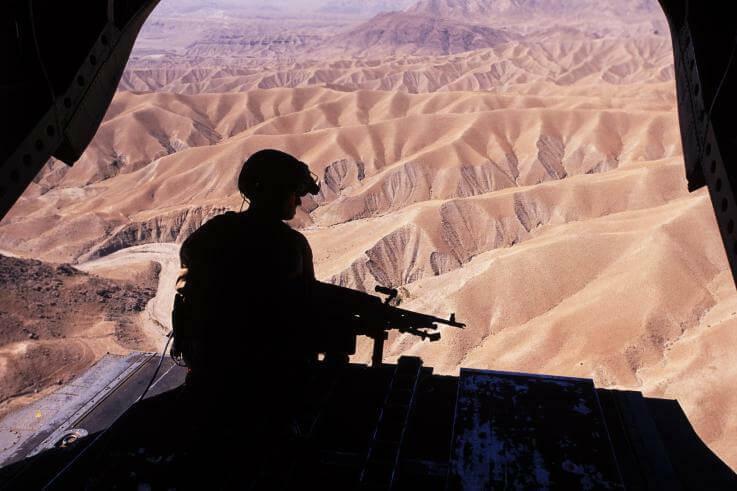 The second probe, led by Army Brigadier General Jeffrey Colt, explained in excruciating detail what all those familiar with military operations and helicopter aviation in Afghanistan already knew: chance and chance alone, took down Extortion 17. It was an auspicious day for the two enemy fighters. They happened to be in the right place at the right time. There was no conspiracy. Nobody tipped off the fighters—nor could anyone have alerted them. The helicopter was in great operational shape. It had been loaded well within its limits. The pilots ranked among the most proficient in this type of flying and the Department of Defense. Planners had created an absolutely sound mission. Chance, however, a component of war intimately understood by warfighters, can never be completely mitigated. While the vast majority of attempts to down helicopters failed, the lucky shot that took down Extortion 17 had a precedent. During an attempted reinforcement effort during Operation Red Wings on June 28, 2005, high on the slopes of a mountain called Sawtalo Sar in eastern Afghanistan’s Kunar Province, a lucky shot took down an Army Special Operations Chinook, call sign “Turbine 33.” The ensuing crash killed all 16 on board, eight Army special operations aviators, and eight Navy SEALs. At that time, this marked the deadliest moment in the war in Afghanistan. In interviewing Buddy for background research for my book, The Final Mission of Extortion 17, which chronicles the people, events, and circumstances of the downing of Extortion 17, I realized that this tragedy illustrates Buddy’s words more convincingly perhaps than any other incident. “We simply didn’t know those guys with those RPGs were there,” he said. And the shooters had no reason to know that Extortion 17 or any other helicopter would be flying through their quiet extremity of the valley. Only the pilots, crew, and special operations ground forces commanders knew about the planned flight path and time. Ed Darack’s The Final Mission of Extortion 17, published by Smithsonian Books, will be available on September 19. Darack, a writer and photographer, is the author of four previous books, including Victory Point: Operations Red Wings and Whalers—the Marine Corps’ Battle for Freedom in Afghanistan. 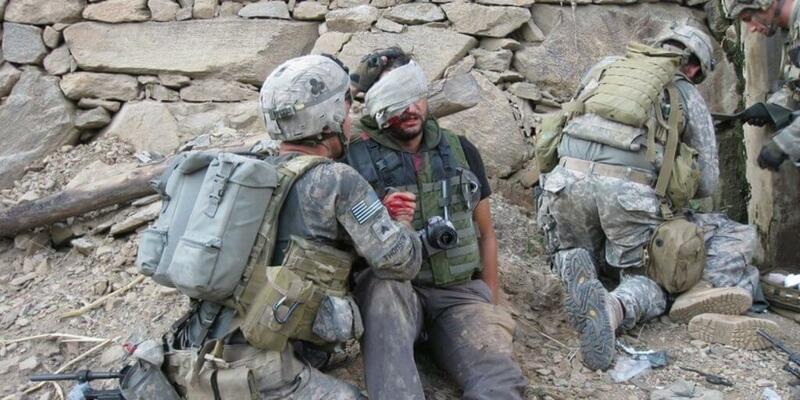 In the year since “Blindsided by the Taliban” was published, it is been featured on television and in print the world over and photographed in Times Square, The Bahamas, downtown Kabul and many other corners of the globe. Now the book is also being adapted into a screenplay. The author of the book is Carmen Gentile. In his book, he told us a Journalist’s Story of War, Trauma, Love, and Loss. On September 9, 2010, while embedded with an Army unit and talking with locals in a small village in eastern Afghanistan, journalist Carmen Gentile was struck in the face by a rocket-propelled grenade. Inexplicably, the grenade did not explode and Gentile survived, albeit with the right side of his face shattered and blinded in one eye. Making matters worse, his engagement was on the ropes and his fiancée absent from his bedside. Blindsided by the Taliban chronicles the author’s numerous missteps and shortcomings while coming to terms with injury and a lost love. Inventive and unprecedented surgeries would ultimately save Gentile’s face and eyesight, but the depression and trauma that followed his physical and emotional injuries proved a much harder recovery. Ultimately, Gentile would find that returning to the front lines and continuing the work he loved was the only way to become whole again. Gentile recounts the physical and mental recovery which included a month of staring only at the ground on doctors’ orders, a battle with opiate-induced constipation and a history of drug addiction, night terrors born of post-traumatic stress, the Jedi-like powers of General David Petraeus, and finding normalcy under falling mortars in an Afghan valley. The result is an unapologetic, self-deprecating, occasionally cringe-worthy, and always candid account of loss and redemption. Blindsided by the Taliban also features the author’s photos from the field that depict the realities of life in Afghanistan for soldiers and civilians alike. Robert K. Brown, former Green Beret, after a bizarre military career that succeeded in getting him kicked out of Special Forces not once but twice, and completing the Command and General Staff College without a security clearance, while meantime being wounded in Nam, finally found his true calling as a publisher. Thirty-eight years ago, he launched an upstart magazine from his basement called Soldier of Fortune, which pushed the bounds of journalism to its limits with his untamed brand of reporting—a camera in one hand, a gun in the other, and soon thereafter he discovered that he’d established a worldwide community. His wildly popular, notorious magazine became an icon for action-seekers in the U.S. and around the world. In this long-awaited book, Brown tells his own story, taking the readers into combat zones where he and his daring combat journalists, or fearless “dogs of war,” trotted across the globe. His rogue warrior journalists embedded themselves with anti-Communist guerillas or freedom fighters, often training and fighting with rebels against oppressive regimes. In their revolutionary journalistic style, they created the action and then wrote about it. Generals and leaders of exotic armies welcomed the SOF visitors and led them or allowed them to tread into unchartered territory. 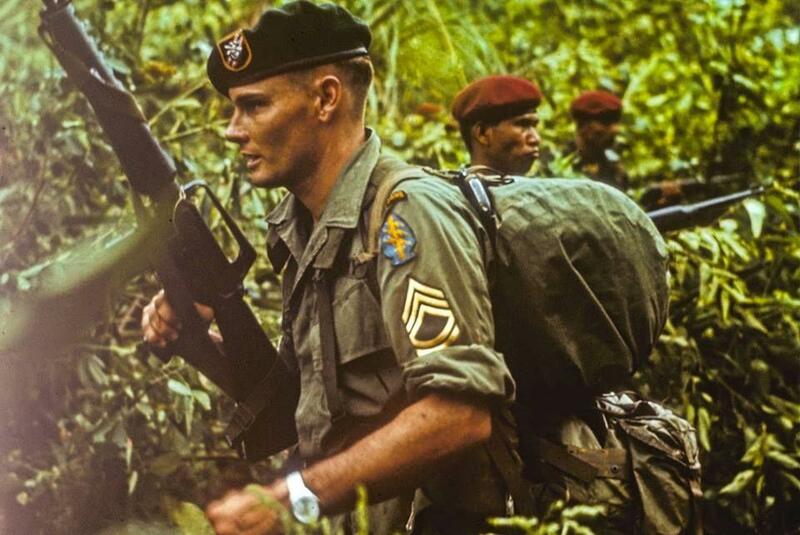 Brown himself accompanied teams to work and fight with the Rhodesians; the Afghans during the Afghan-Russo war, Christian Phalange in Lebanon; ethnic minority Karens in Burma; the ethnic tribes fighting the Communist government of Laos; the army of El Salvador; and the armed forces of struggling Croatia. Brown sent medical teams, often into the jaws of danger, to Burma, Guatemala, the Dominican Republic, Afghanistan, Bosnia, El Salvador and Nicaragua, and also into Peru after a devastating earthquake. In short, the “Soldiers of Fortune” went where even the U.S. government feared to tread, and they did it with gallant style, not fearing risk but welcoming the challenge, as long as they felt the cause was right and needed to be reported. In this book the exploits of Brown and his veteran teams are revealed for the first time in all their gonzo glory, even as the U.S. military, public, and polite diplomatic society sometimes shunned their endeavors.